As we age, it’s common to experience symptoms such as pain, swelling, and heaviness in their legs. You may even notice physical changes in your legs, such as the development of thick, ropy, bulging veins called varicose veins. 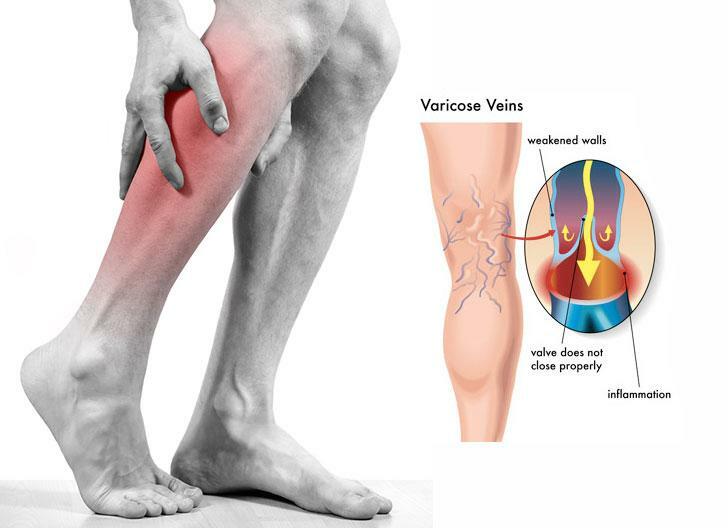 These symptoms often have a similar cause: a condition called chronic venous insufficiency. 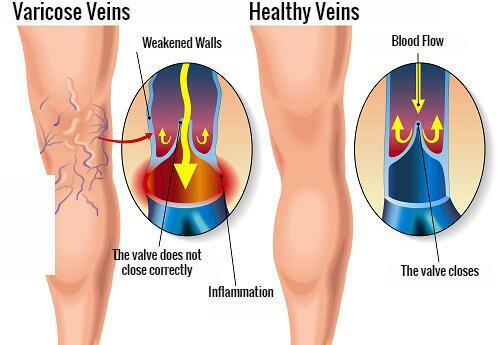 Chronic venous insufficiency (CVI) occurs when the valves in your leg veins don’t work properly, causing blood that would normally return to your heart to instead pool in your legs. This may be due to hereditary valve dysfunction or valve damage after a blood clot. Other factors like obesity and lack of exercise may worsen your risk of developing CVI. Varicose veins are one obvious symptom of CVI. Although most varicose veins are enlarged and clearly visible, you might not see the full extent of the diseased veins on the surface of your leg. These recessed veins can be just as painful and uncomfortable to deal with. No matter the location or cause of CVI, many people experience leg pain, heaviness, and swelling that interferes with their daily activities. If this becomes the case, visit your doctor for an evaluation and referral to a vein specialist. There are several treatment options available for varicose veins. At first, your doctor might recommend that you make lifestyle changes such as exercising regularly, losing weight, and avoiding sitting or standing for too long. Your doctor may also recommend that you wear compression stockings, elevate your legs, and take over-the-counter pain medicine. For people with mild to moderate chronic venous insufficiency, these conservative treatments may help ease symptoms and improve your quality of life. Not treating the underlying condition, however, can worsen the extent of your CVI and thus worsen its corresponding symptoms. In cases where CVI symptoms are not fully alleviated with conservative treatment methods, your doctor may order an ultrasound of your legs to determine the extent of the disease. Doing so allows your doctor to recommend a medical intervention that will be most effective for your specific case. 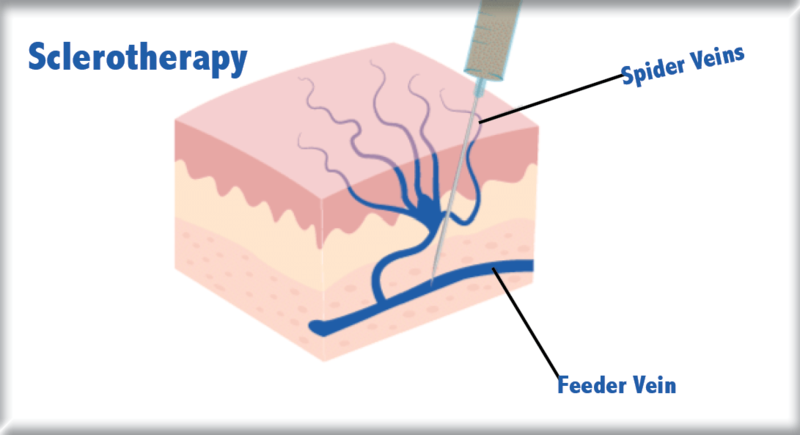 A few of the minimally invasive treatments of spider veins and varicose veins include laser therapy and sclerotherapy. These treatments are ideal when symptoms are well-controlled with conservative treatment methods and the patient would like to treat the remaining spider veins or varicose veins for cosmetic reasons. In cases of more severe chronic venous insufficiency, your doctor may recommend an endovenous ablation of your leg veins. A lower-extremity ablation is a minor surgical procedure where your doctor inserts a catheter with a heating element into your diseased leg vein under ultrasound guidance. Once positioned, the catheter is heated and slowly pulled back out of your leg. The heat energy collapses the surrounding diseased vein, which forces blood to flow through nearby healthier veins. Although all medical interventions carry risks, endovenous ablations are relatively safe procedures when you follow your doctor’s pre- and post-care instructions. During your consultation, make sure to speak with your doctor about any concerns that you have. Varicose veins are large, bulging, and painful veins which typically form on the feet and legs. Although most varicose veins are harmless, they can cause symptoms such as pain, heaviness, throbbing, and pressure that decrease the patient’s quality of life. If left untreated, varicose veins can cause ulcers, blood clots, and bleeding when veins protruding from the leg are irritated. 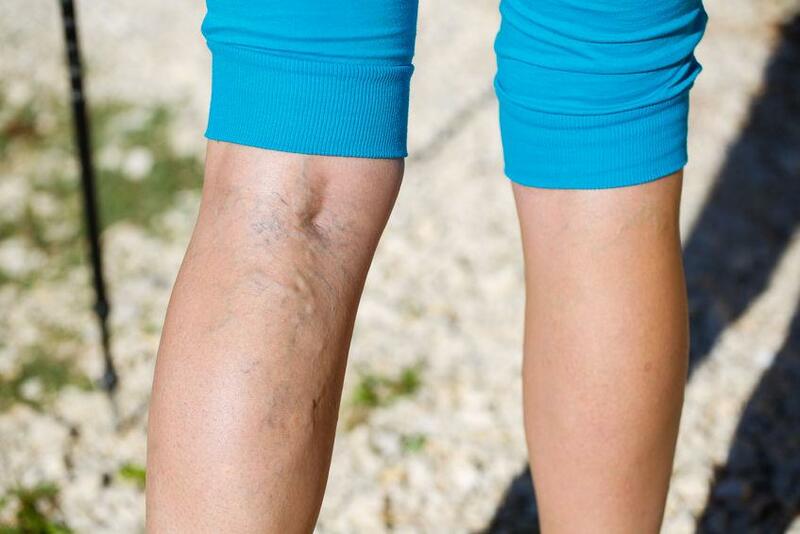 Symptoms aside, varicose veins are also unsightly and uncomfortable. You shouldn’t have to live feeling embarrassed about your varicose veins. Fortunately, varicose vein treatments do exist for eliminating these uncomfortable veins. The treatment will depend on the causes of your varicose veins. 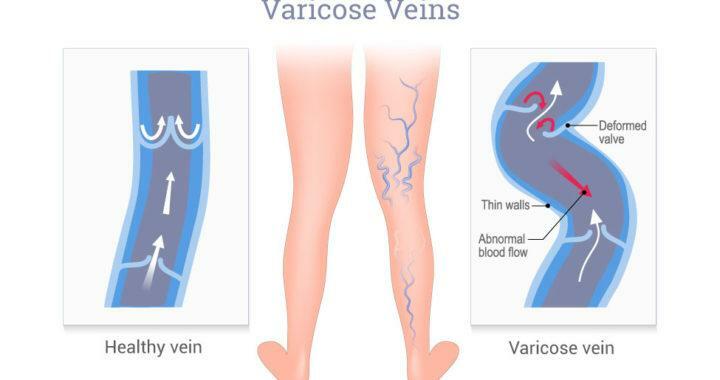 In many cases, varicose veins are caused by underlying circulation problems, such as venous insufficiency, that must be corrected with surgical intervention before cosmetic treatments are performed. If the underlying issue is not corrected, then cosmetic treatments are rarely effective. The most common surgical procedure for correcting venous insufficiency is known as an ablation, where a catheter is inserted into the leg and used to collapse the diseased vein, forcing blood to flow through nearby healthy veins. For cosmetic treatments, the surgeon will either perform sclerotherapy or a laser treatment, depending on the size and position of the veins. The laser vein treatment usually takes less than one hour to complete. There may be some minor pain, so your doctor might administer a local anesthetic. Once the treatment has been administered, the area might feel painful and uncomfortable. Many physicians recommend over-the-counter pain medicine like ibuprofen to relieve your discomfort. For one to two weeks after the procedure, your doctor might recommend that you refrain from doing lower body cardio such as running, biking, or swimming. Walking, however, is encouraged and your doctor might recommend that you walk for a minimum of 1 to 2 hours per day on a flat surface. That way, you will promote lower extremity circulation and aid your body in recovery. Periods of inactivity increase your risk of developing a blood clot. Sclerotherapy is effective for varicose veins and large spider veins in the absence of an underlying medical condition. The good news is that this treatment is only minimally invasive. The doctor will make several small injections of a chemical sclerosant solution into your veins. The solution will collapse the veins so that they are gone completely. Most patients experience minimal pain and return to work or school the same day. After the procedure, many doctors will recommend following the same exercise restrictions as listed about. A radiofrequency ablation can correct underlying medical conditions, such as venous insufficiency, that cause varicose veins. If the underlying condition isn’t treated, than cosmetic solutions are less effective as the diseased veins still suffer from blood reflux in the legs. Most RFAs last less than an hour, and your total time at the doctor’s office should be less than two hours. Most doctors administer a local anesthetic, and some dispense oral pain relievers depending to help minimize discomfort during the procedure. In any case, make sure to discuss all of your options with your doctor. Athletes and the general public alike will be surprised to know that even those in great shape are susceptible to varicose veins. We often think that those who work out often and stay physically fit are immune from such conditions, but this is not the reality. Even though the human body can withstand a great deal of stress, athletes have a habit of overlooking cramping, tightness and swelling. 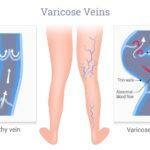 We now know that varicose veins can cause many of these symptoms, along with tenderness and weakness. If overlooked, varicose veins can become serious sports injuries, taking athletes out of the game altogether. Varicose veins can also lead to serious circulatory problems if left untreated. With all this said, there are many treatments that can help athletes turn things around and keep themselves fit and active. Most people associate varicose veins with genes, aging, obesity, and frequent standing. The stress involved in athletic training and performance, especially distance running, weightlifting, cycling and many other activities can also exacerbate the condition. Increased amounts of exercise stimulate your circulation, which will increase the volume of blood flowing into your legs. As blood returns to the heart, it puts a great deal of pressure on the walls and valves of your veins. As the pressure rises, pain and swelling can weaken your legs, reducing your endurance of strength and your cardiovascular system. There are a few steps that athletes can take to prevent the chances of developing varicose veins. Making a few changes to training workout sessions, such as placing resistance bands on their calves to stimulate the muscle pump and increase blood circulation, can have a positive effect. Wearing compression socks, as those often seen with distance runners, can reduce the chances of varicose veins. These socks can prevent rising blood pressure and blood from collecting in their legs. Blood will continue to circulate properly preventing pain and swelling. Blood pooling often causes varicose veins, therefore, athletes should do whatever they can to reduce the amount of blood that will become trapped in their lower legs directly after training or working out. Also, elevating their legs regularly will help the veins drain correctly allowing for good blood flow to the heart. As an athlete, if you have access to a swimming pool that is shallow you can get in and perform toe raises. The contraction of the muscles will help stimulate circulation in your legs. The water will help prevent gravity from pooling or trapping blood. Athletes, just like everyone else, will not find relief from varicose veins unless the causes are addressed. Look into different treatments and therapies that are non-invasive that can be brought into your training and work out sessions. If you are suffering from pain and swcelling in the legs, you should contact The Secret Vein Clinic for a diagnosis and to discuss possible treatment options including laser vein treatment and sclerotherapy. The U.S. Department of Health & Human Services states that approximately 55% of women suffer from either spider or varicose veins. Many people suffering from these conditions develop anxiety and embarrassment when wearing shorts or swimsuits. You know that when spring approaches you want a solution for your vein condition. You will want to wear shorts or skirts to show off wonderful legs, not legs covered in unsightly veins. It can be difficult to feel good about yourself when so self-conscious about these spider or varicose veins. On a positive note, there are excellent treatments available to get rid of these unsightly veins. 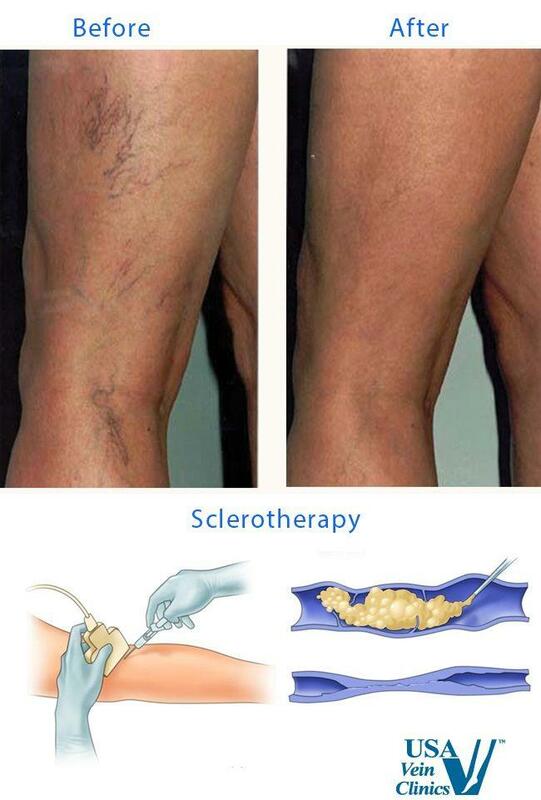 Sclerotherapy is one such procedure that will eliminate these veins and has been helping people since the 1930s. If you are ready to step forward and deal with your spider or varicose veins, The Secret Vein Clinic is here to help you out. Varicose veins appear as large, bulbous veins that are usually blue, flesh-toned or purple. In many cases, discoloration will reach the surface of your skin. These dilated veins can cause aching and swelling and are often very painful. This can also lead to a great deal of stress on your legs and make them feel weak or tired. 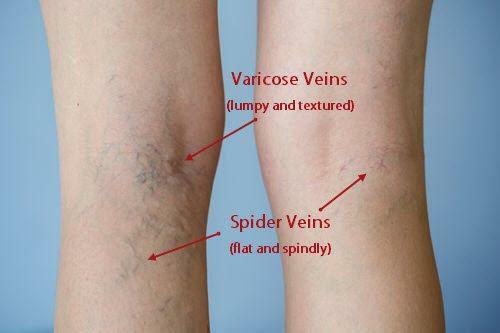 Spider veins are tiny blood vessels that form at the surface of the skin. Color-wise, they are usually red, purple, or blue and look like a spider’s web (hence the name). Although commonly found on your legs, they can also appear on your face which is very obvious, causing even more embarrassment! Issues within the blood vessels themselves cause these diseased veins. Your veins should carry blood back to your heart from other areas of your body. Veins have small valves to prevent blood from flowing back into the veins and stay on course to the heart. When these valves are not functioning properly, blood flows back into the vein increasing pressure inside the vein. This pressure will inevitably weaken the vein, causing swelling and/or bulging. • Increased pressure in your abdomen caused by tumors, constipation, or certain garments such as girdles. Why Would Someone Opt For Sclerotherapy? • Cramping during the evening hours. Many patients choose this procedure to remove the appearance of these small varicosed and spider veins. The patient is injected directly into the vein with a solution called Sclerosant. This solution causes the vein to close up, forcing the blood to enter healthy veins. Eventually, this damaged vein is absorbed into body tissue and fades away. Am I A Good Candidate For The Sclerotherapy Procedure? If you suffer from either varicose or spider veins anywhere on your body, this treatment can be the solution. Your doctor will have prescribed procedures that you must follow. This might include wearing compression stockings for a certain period of time after your Sclerotherapy procedure has been completed in order to induce healthy blood flow in that area. Though it is an extremely low-risk procedure, you will meet with your vein specialist before the surgery and will go over everything involved with the procedure. You will discuss any problems you have experienced in the area of treatment such as pain or if there was a previous injury to the area. 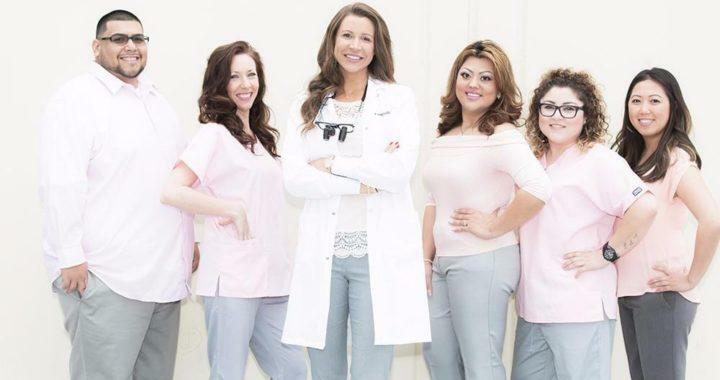 Your specialist will go over any past procedures that have already been done in or around that area and any other treatments you have undergone. The physician will want to know any information on medications you are currently taking including vitamins and/or herbal supplements and whether you have a history of tobacco, drug, or alcohol use. They will also want your family history and information regarding any allergies. After the consultation, your physician will diagnose your health and any possible pre-existing health conditions you might have. He or she will find out if you have any risk factors that could affect your safety during this procedure. Your physician will also examine your veins to see if this is the right procedure for you. He or she will discuss the usual outcome of your varicose or spider vein treatment, any possible risks, and potential complications so that you fully understand the entire process. Sclerotherapy is minimally invasive and is not a surgical procedure. It is an injection of a saline solution that uses a very fine needle that is applied directly to the problem vein. Some people will experience a slight cramping or mild discomfort for a minute or two as the solution enters the vein. This is very common in the treatment of larger veins. The number of veins involved in one procedure will depend on the size and location of the veins involved along with your overall health. Sclerotherapy will take approximately 15 to 30 minutes to complete and is performed in your doctor’s office. Most patients will return to their normal lives and activities very quickly. Certain activities such as hot tubs, aerobics, or saunas should be avoided for a few days after the procedure is performed. Your doctor may require that you where supportive compression stockings while your legs are healing. The areas where the treatment was performed will probably have bruising and you might experience some cramping for a few days afterward. Your doctor can provide you with a prescription to help alleviate any possible discomfort. After your treatment, you will notice great improvement in your skin’s appearance. Some people will have to go through more than one treatment to get the best results. 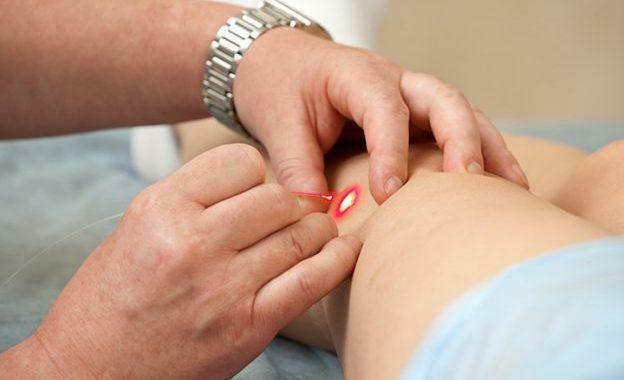 Once you have received the expected results from the treatment, it will be permanent because the diseased vein is ultimately absorbed and done away with. With this said, you must understand that this procedure will not prevent other veins from surfacing in the future. Should you have another vein problem, you should have further treatments to correct those veins as well. Laser treatment for varicose and spider veins is very popular for patients and doctors alike. This technology uses high-powered lasers that are safe and offers excellent success rates. The majority of people who suffer from varicose veins have found laser vein treatment minimally invasive and an excellent option for their needs. Patients are able to walk after the treatment and is important they do so to prevent blood clots forming in other veins in their legs. After your doctor has completed his or her assessment, he or she will also let you know if there are certain medications you should not take before or after the procedure. Your doctor will review all medications you might be taking and will let you know if you should stop taking them and for what period of time. Also, please note – this is not a recommended treatment for women who are pregnant. They can have the procedure performed later on. Unlike normal surgical procedures, you are not hospitalized as the treatment is performed in the doctor’s office. The doctor will give you a local anesthesia to numb the area where the vein is located. A small incision is made in order to insert a very small catheter which has a laser optic fiber. The catheter is inserted into the vein and an ultrasound is then used so your doctor can see the area being treated. The laser is used while the catheter is being removed to heat the interior of the vein wall. The heat will close off the vein so it can no longer receive any blood flow. Without receiving blood flow, the vein will break down and collapse. Your body will absorb the cells as it recovers from the treatment. Throughout this process, you will not feel anything. The entire treatment will take less than an hour and all you will need is the application of a bandage to cover the incision. Your doctor will give you specific instructions to make sure you move around as often as possible and wear compression stockings for a few days or up to a few weeks if deemed necessary. Laser vein treatment is effective, simple, and there is minimal invasion. Many doctors, as well as past patients, have highly recommended this procedure. There is no downtime and is the perfect solution for anyone suffering from varicose veins and spider veins. 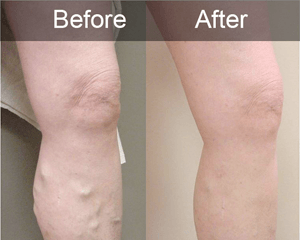 If you are suffering from varicose or spider veins, it is well worth your time to make an appointment with your doctor and see if laser vein treatment San Diego is a good option for you. When you are pregnant, your body’s hormones go through many changes. Hormones can influence your vein’s dilation. Blood vessels will contract in part due to increased progesterone production in your ovaries and then in the uterus. Progesterone production takes place to ensure that ligaments become very relaxed for delivery. In turn, this may increase the chances you will suffer from varicose veins. Your volume of blood greatly increases due to the creation of a fetus in which your blood must be able to support both you and your baby. As your pregnancy progresses, your blood volume continues to increase. This rise in blood volume can lead to pooling in weaker veins. Your blood is constantly fighting against gravity to leave the legs and move to the heart for re-circulation. Over time, as the uterus and fetus grow, more pressure is placed on your pelvis and subsequently your veins. Under these conditions, vein function may suffer. Varicose and spider veins are also possible due to genetics. Your family history can play a part in the existence of varicose and spiders veins even outside of pregnancy. If your mother or possibly sister suffered from varicose veins during pregnancy, there’s a good chance you will as well. Can Varicose Veins Be Treated During Pregnancy? Under normal circumstances, no. This is because in many cases, your body will return to its normal state after delivery. This can take a few months to happen, so be patient. If you do not see an improvement with time, there are treatments to help you. Can I Minimize The Risks Of Varicose Veins During Pregnancy? Yes, you can help minimize the risks of these veins during pregnancy. Pregnant women are encouraged to not stand or sit for long periods of time. If your legs are feeling especially tired and/or heavy, it’s suggested you elevate your legs to reduce some of the pressure. If you have concerns, speak with your doctor. He or she can provide some tips to help you through this time and minimize the risk of varicose veins after pregnancy. If you are experiencing varicose veins while pregnant you should see a doctor immediately. 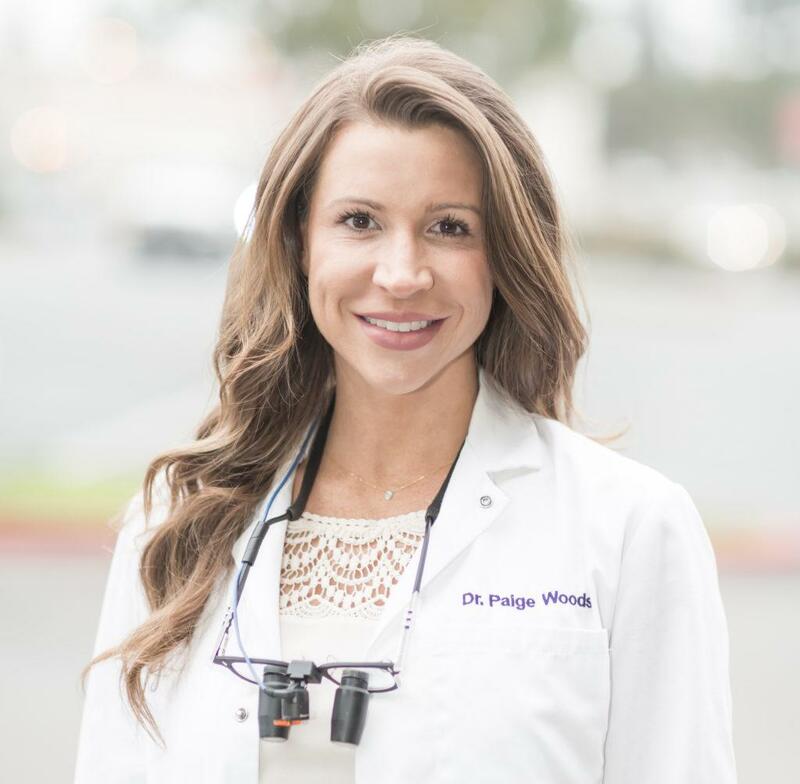 Dr. Peter Mann is the leading vascular surgeon in Southern California and specializes in both surgical and non-surgical treatment of varicose veins. Schedule your appointment today!